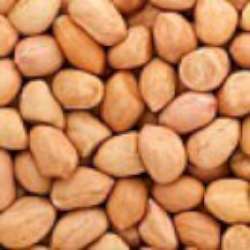 Here is a list of groundnut - peanut recipes on this website. Peanuts are also known as groundnuts. In Indian languages, peanut is known as singdana, shengdana, shenga, kadlekai beeja, kadlekai, moongphali etc. Peanuts grow under the ground. That is why they are also known as ground nuts. Peanut shells are hard and have to be removed before you can use the inner seeds. The inner seeds are reddish in color. That is their skin is reddish. When you remove the thin skin, the peanuts are whitish/creamish in color. You do not really need to remove the skin for all the recipes. Many recipes can be made without removing skins. If you need to remove the skin, you may do it after roasting or by soaking in water.